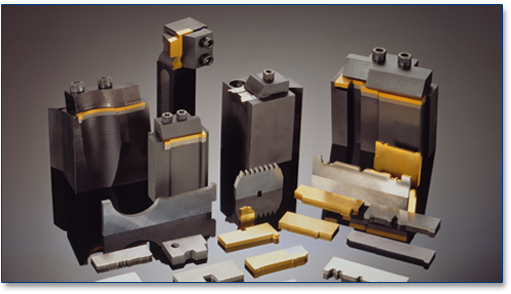 Posa-Form carbide insert form tooling systems are complex carbide cutting tool systems designed and manufactured by Posa-Cut for CNC machines and single and multiple spindle machines including Acme, Brown & Sharpe and Davenport. Combining wire EDM, grinding capabilities, CAD/CAM technology and a full-service engineering department, Posa-Form carbide form tools improve productivity because they are produced to exact specifications satisfying geometries, grades and coatings for any application. Posa-Form form tools require fewer tool changes and allow for faster tool changeover thereby reducing downtime - ideal for long-run environments.